SAPESI-Japan exported four Mobile Library units to the Free State (April 2013) as well as four to the KZN Departments of Education (May 2013). This was possible due to the financial support of various sponsors including the Japanese Ministry of Foreign Affairs and MOL (Mitsui OSK Line) for the shipping of the vehicles to South Africa. 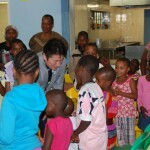 Thanks to the financial support by Sony Japan, we published a children’s book originally written by a Japanese author, in all eleven official languages of South Africa, and organised a breakfast launch on June 25 at Wanderers Club in Johannesburg. 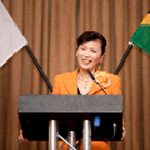 The Japanese Ministry of Foreign Affairs supports SAPESI financially thus enabling us to export the mobile libraries from Japan to South Africa. 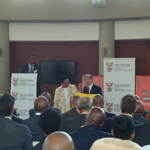 On 17 November 2011 SAPESI and the Department of Basic Education co-hosted an event in Pretoria celebrating the expansion of the existing Mobile Library Services to cover all 9 provinces, due to the handover of an additional 11 Mobile Libraries to the remaining 5 provinces.